Are you an initiative thinker looking to shape the ad tech space? Join our lab of deep divers. What would you do with 3 million requests per hour? Make history within our industry. Come and join our professional team @WeQ Global. Come and be part of our daily process of finding ever better solutions to manage high traffic while implementing cutting-edge technologies and ensuring real-time analysis, that drives our business. We are open to your ideas and would love to see you grow with us. Join an international and thriving team of innovation-drivers spanning all continents and grow alongside the brightest minds in the industry. Our cool office is in hip Berlin neighborhood with access to lots of amenities and top-notch workstations, with the latest hardware of your choice. We ensure that your move to Berlin goes as smoothly as possible by offering relocation and visa support to settle comfortably into your new city. We offer comprehensive health insurance at home or during your business travel, keep you hydrated and nourished with a selection of drinks and snacks. We support your growth with intensive onboarding, quarterly reviews, hands-on mentoring from your manager and internal knowledge-sharing initiatives. Enjoy 24/7 access to e-learning tools to improve your business, creative and tech skills. Keep your brain active and integrate into the international hub of Berlin with German and English classes. We’re all about community and collaboration! Mingle with your peers at our breakfasts, lunches, summer BBQs, ping pong challenges and many more (depending on location). We fly the San Francisco team to Berlin for our global bi-annual company events. Enjoy a gift and flexible vacation-time on us to celebrate special occasions (work anniversaries, birthdays etc.). Help build the team with our employee referral scheme, offering between 2.000 - 5.000€ for finding the right fit. 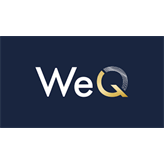 WeQ are experts in mobile ad tech, driving user acquisition and engagement on a global scale. The team of over 100 professionals, covering over 30 nationalities, is led by industry veterans from the mobile advertising space and combines a client-centric approach with purpose-built, state-of-the-art technology. Want to get notified about new jobs at WeQ Global Tech GmbH?